Gilbane is evaluating environmental cleanup strategies for soil, soil gas and groundwater contamination. 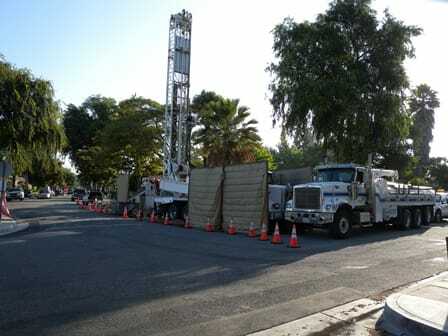 Gilbane is currently performing a Remedial Investigation/Feasibility Study (RI/FS) and Remedial Action Compliance Monitoring (RA) to investigate and provide environmental cleanup strategies for soil, soil gas and groundwater contamination in the San Gabriel Valley, Los Angeles County, California. The specific focus of activities at the site is delineation of deep groundwater contaminant plume migration and evaluation of current groundwater cleanup measures. Gilbane staff meet frequently with local regulatory decision-makers regarding groundwater budget strategies and management. The team is also providing monitoring of the existing groundwater remedial action to determine if it remains in compliance with the established cleanup goals adjudicated in the existing record of decision. Gilbane is evaluating the risk to human health and environmental exists throughout the San Gabriel Valley due to past industrial activities. The team’s findings will influence EPA’s decision to modify the current RA for the South El Monte Superfund Site.